Pig chef hoggin' the gril or hoggin' the wine. 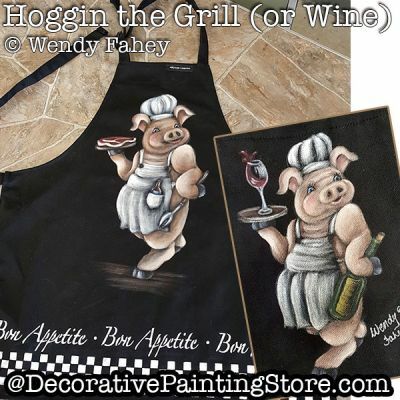 Design painted on chef's apron, wine bottle apron, or wine gift bag. Drawings including for full size apron or wine bottle apron.